Sitara telepathically asks Baba if he dint find out who she is. He nods that he knows that she is a Vishkanya. You drank poison to save me. She smiles in relief. Rani Sa asks Sitara why she dint let Baba drink milk. Sitara lies that it was his blessings. I drank it without thinking. She touches Sant ji’s feet seeking his blessings and he happily blesses her to be victorious. Vishkanya’s look on unhappily. Sitara smiles. Vrinda says we much do something about Sitara. She creates a roadblock in our every plan. Chabeeli agrees. She foils our every plan. Ratan asks her what plan she is talking about. Vrinda cooks up a story. Ratan asks them why they look so worried. I came to check on Vrinda ji. Shall I call doc? Vrinda denies. I am perfectly fine now. Ratan says you lost a big chance. You should have met Sant ji. He is very powerful. He dint enter in the palace and could figure out that a big trouble is looming over us. He will tell us about it after the puja. Vrinda decides to kill Sant before he tells anything. Ratan gives them Prasad. Vrinda lies that they are fasting today. Ratan is impressed with her words. Vrinda’s sisters excuse themselves. Vrinda tells Ratan she believes in concepts such as fasts as she too wants a handsome and nice husband like him. Wish we had met a few years earlier. We would have been together then. He tells her they should go outside. Sant ji must be waiting for us. He leaves. Vrinda says he will have to fall in my trap very soon. Till when will you escape me? 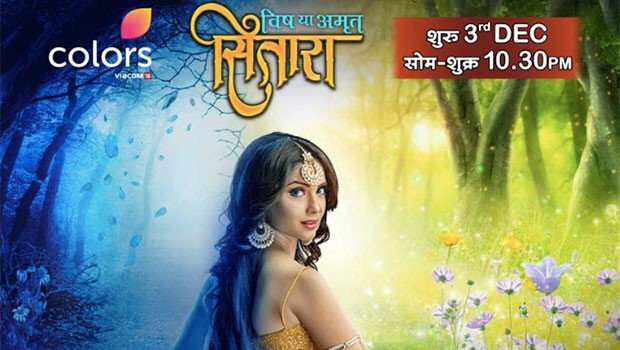 The post Sitara 6th March 2019 Written Episode Update: Sitara decodes the mystery appeared first on Telly Updates.